All post related to our Health Promoting School status. Please click on the link below to view the enclosed letter. The Preston Lodge Fair Trade group and the Pupil Council are pleased to announce that they will be jointly running a trial Fairtrade Tuck Shop at break time on Friday June 14th 2013, in the Maths Social Area. The long term aim is that this combined group of pupils will develop this initiative in the new session and hope to run an end of month Fair Trade Tuck Shop every last Friday of the month. Funds from the venture are going towards buying new outdoor furniture for the school garden. We look forward to seeing you all on Friday June 14th at break time in the Maths Social Area! 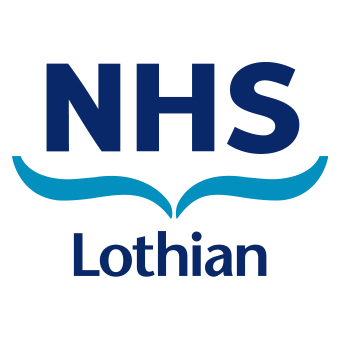 We have been advised, by NHS Lothian, that there is an increased circulation of flu in communities. Public health data shows that the increases have been seen particularly in the five to 14 age groups, both from GP consultations and respiratory outbreaks in schools, as well as calls to NHS 24. 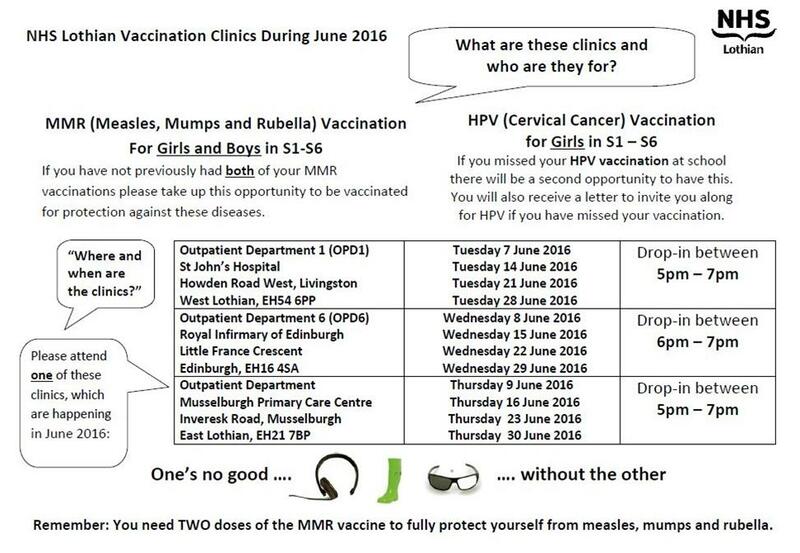 There has also been cases of meningitis which do tend to increase at this time of year. To increase awareness of these conditions in communities, we have been asked to distribute this letter from NHS Lothian to parents, pupils and staff in our community. 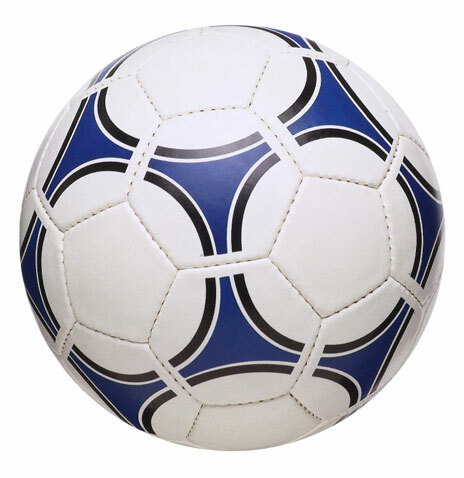 A House Football event will be taking place next week at lunch time on Monday, Tuesday and Wednesday. A promotional video has been made by your House Captains to give staff and pupils alike more information about this popular event. Who will win? Not even Keiran Mullen knows! 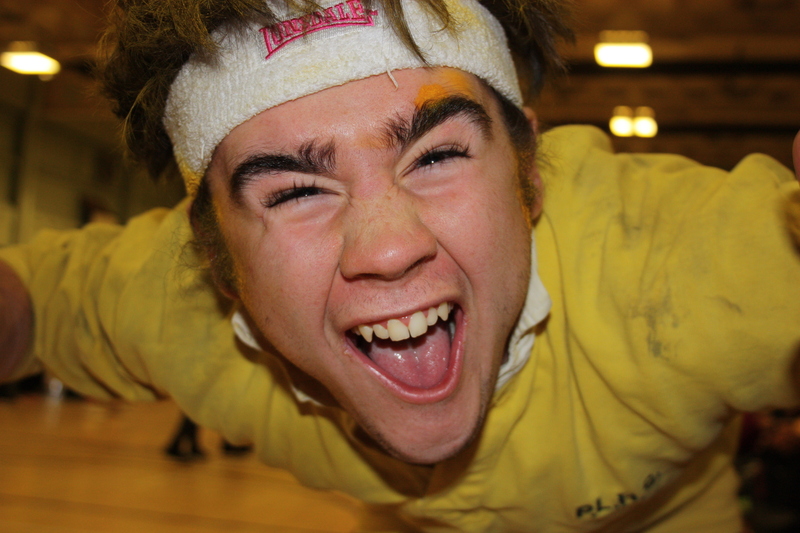 Our most recent house event – the Seniors Tug of War competition resulted in a huge crowd of pupils turning out to witness one of the best events so far. With our S6 pupils entering fully into the spirit of the competition, we saw red, blue and yellow leg warmers and leotards a plenty – and that was just the boys! In the competition for young ladies, ladylike behaviour went out the window as our teams fought valiantly for the title of Strongest House. In this particular event, Seton girls came out on top, with Grange second and Gosford third. A clash of the titans ensued in the male version of this competition with pride and bragging rights very much driving everything that ensued. Grange boys came out on top in this competition as they beat both Seton and Gosford without too much effort – though this was not the case when an inital foul pull happened. A certain Mr Lanyon had somehow managed to sneak himself into the Seton boys team, impacting on their ability to be moved but was soon told off in no uncertain terms by Miss Dalgleish for being a bit of a chancer! The final overall result of the combined girls and boys event saw Grange finish first, Seton second and Gosford third. The competition finale meant some truly colossal characters entered the arena to take on the pupils’ “strongest team” (Grange boys). A staff team with a combined weight of a French front row AND an English front row, laid down the gauntlet to our young heroes. 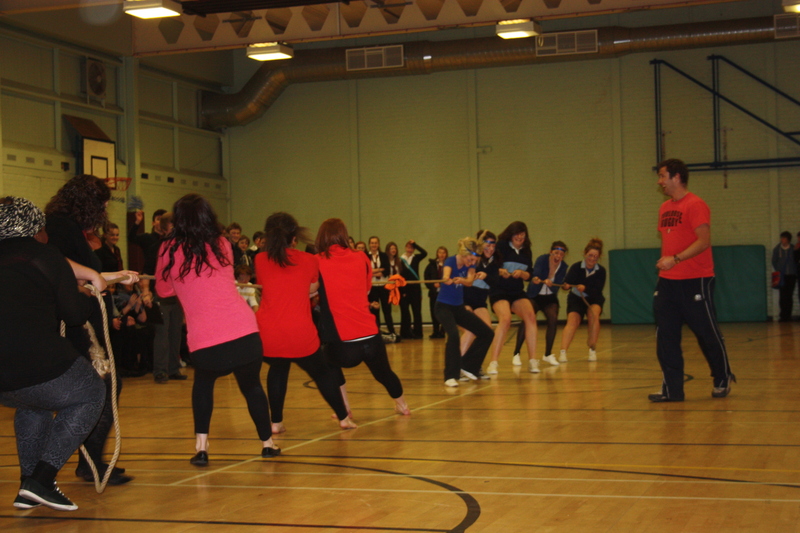 The first tug of war was very close indeed and the Grange boys very much gave the staff a run for their money. However, there was just no shifting the academic giants that are Lanyon, Evans, Robertson and a couple of (by comparison) puny PE punters. 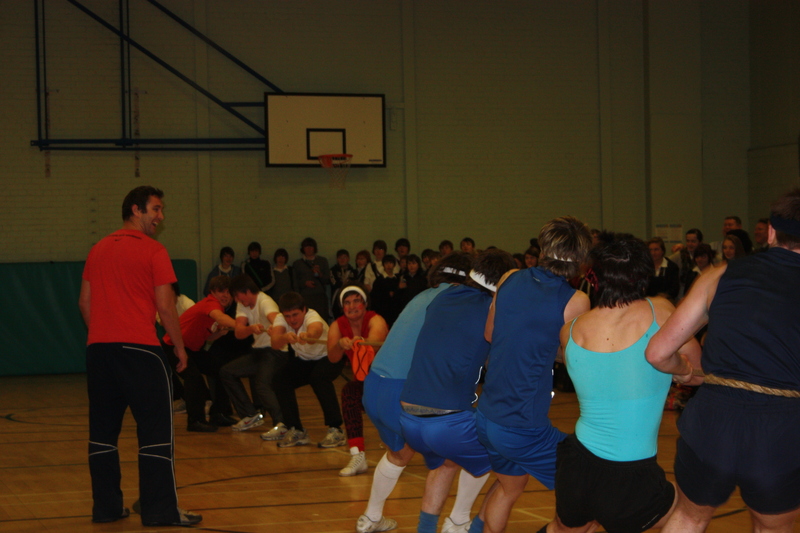 The staff edged the Grange boys out – but only just. Mohammed simply couldn’t shift the mountain. Congratulations go to Grange pupil Paul Dixon and former Seton pupil, Raymond Mackie, who have both been selected to represent Edinburgh this season. Raymond played for Edinburgh U18s when they beat Glasgow u18s at New Anniesland in March and Paul played for the u17 squad when they took on Caledonia at Murrayfield. Preston Lodge sends heart felt congratulations to both boys and hope that this is the start of many sporting honours to come. Preston Lodge is always delighted to hear about the sporting successes of our pupils and welcome any information in this respect from pupils, parents and coaches alike.